After giving his first two sermons at Sarnath, Buddha returned to Gaya and then moved present day Rajgir, Vaishali, Keshariya. Giving sermons at different places and spreading his noble truths, he start wandering again and moving different regions of Bihar. 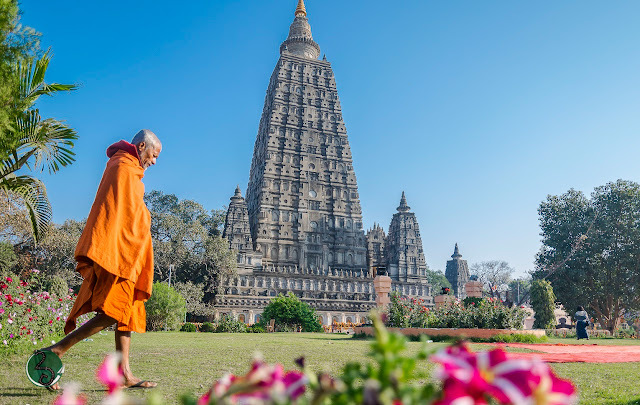 Therefore in order to experience or trace the Siddhartha or Buddha's journey and associated tales in different parts of Bihar, we started our expedition Bihar Beyond Imagination and followed his footsteps. So let us start accounting his journey. 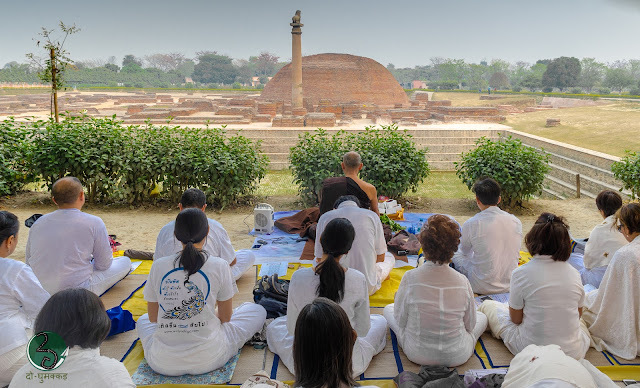 After setting in motion the wheel of Dhamma in Sarnath, Buddha returned to Gaya and taught the Dhamma to the eminent Kassapa brothers- Uruvela, Nadi & Gaya and their thousand disciples. Uruvela Kassapa, a matted haired worshiper, was considered to be one of the foremost spiritual authorities at that time. Knowing the mendicant's mind, Buddha skillfully performed a series of super-normal feats such as reading Uruvela's mind, splitting 500 wooden logs in an instant, remaining unharmed during great flood and taming a fierce naga. After impressed by Buddha's words a few days later Buddha summoned the bhikkus to the Gayasisa mountain and delivered his third sermon-The Fire Sermon. After three days and and three nights, Siddhartha attained Enlightenment and answer that he had sought. At that location a temple was built by Emperor Ashoka in around 260 BCE. The Buddha then spent seven succeeding weeks at seven different spots in the vicinity, meditating and considering his experience. 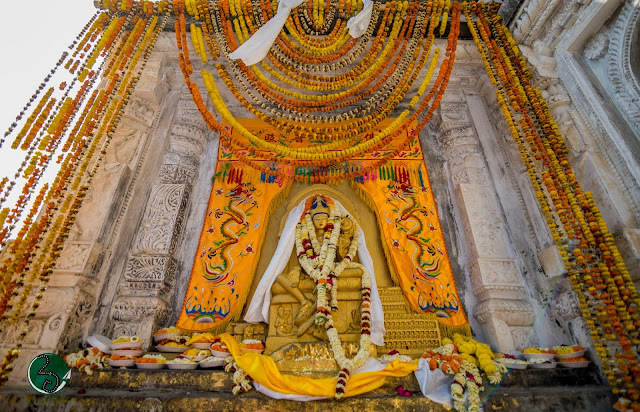 Several specific places inside the Mahabodhi Temple relate to the traditions surrounding these seven weeks. During the second week, Buddha remained standing and stared uninterrupted at the Bodhi Tree. This spot is marked by Animeshlocha Stupa. In the third week it is said that Buddha have walked back and forth between the location of the Animeshlocha Stupa and the Bodhi Tree. According to the legend, Lotus flowers sprung up along this route, which is now called "RatnaChakrama" or "The Jewel Walk". During the fifth week, Buddha answered in details to the queries of Brahmans under the Ajapala Nigodh Tree, now marked by a Pillar. He spent the seventh week under the Rajayatna Tree. Dissatisfied, Siddhartha continue wandering in the search of Truth and Enlightenment and while passing through the Magadh region, he eventually arrived at the modern day Pragbodhi Hills (Dungeshwari Mountain) located near modern day Gaya and found serene forest on a hill for meditation. In tune with the time, Siddhartha indulged in intense human struggle to practice all forms of severe austerities and self-mortification for six long years. In this six years his golden skin dried up, his muscles shrunken, and his eyes shunked deep into their shokets. He became a living skeleton and almost neared his death. 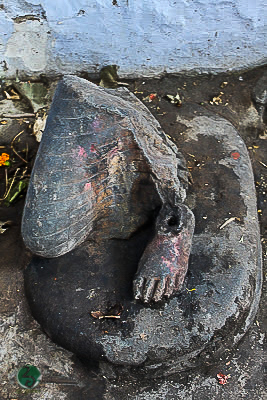 The black stone statue of an emaciated Siddhartha in the Mahakala Cave in Pragbodhi hills (Dungeshwari Mountain) stands testimony to his extreme austerities. After renouncing the extreme practise, Siddhartha came down from Dungeshwari Mountain and bathed in a Niranjan river flowing near and sat down under the Peepal tree. Same time a village women named Sujata, who after getting blessed with child was offering rice milk to everyone. 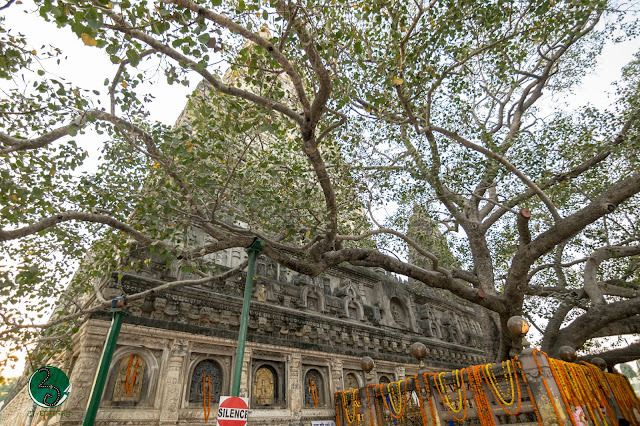 Seeing Siddhartha under Peepal tree she thought him as a Vriksha Devta (Tree deity) and offered him also a bowl of sweetened Kheer (rice-milk). Siddhartha accepted that kheer and moistened his mouth and throat. The five companions, who had lived with Siddhartha for last six years were disappointed after seeing Siddhartha receiving food from the hands of a women. They all left Siddhartha believing that he had reverted to a life of luxury. Seeing them leave, Siddhartha felt sorry for their lack of confidence in him but he didn't gave up about being alone. The first man made cave of Brabar and Nagarjuni, around 42 Km from Gaya are wonderful examples of early cave architecture. 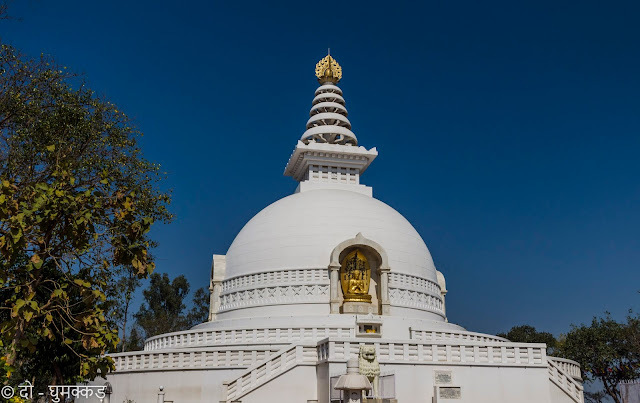 In the 12th year after his coronation, King Ashoka had a stupa built on the top of Barabar Hills to commemorate the spot where the Buddha enjoyed meditating throughout the night. Ashoka also ordered the Barabar caves to be cut out for Ajivikas, a sect founded by Makkhali Gosala. Shortly after shaving off his hair and donning the earth colour mendicants robe Siddhartha walked for more than 500 Km from Keshariya to Rajagriha in search of Truth and Enlightenment. In Rajagriha, King Bimbisara saw Siddhartha walking through the town and approached him and offered him a high position in his court. Siddhartha politely declined saying that he had already severed his ties in search of liberation and could not return to the world of illusion. The king then requested Siddhartha to come back and show the way, once he had experienced it. Siddhartha promised and seven years after he attained Buddha hood, he returned to Rajagriha to teach the Dhamma. 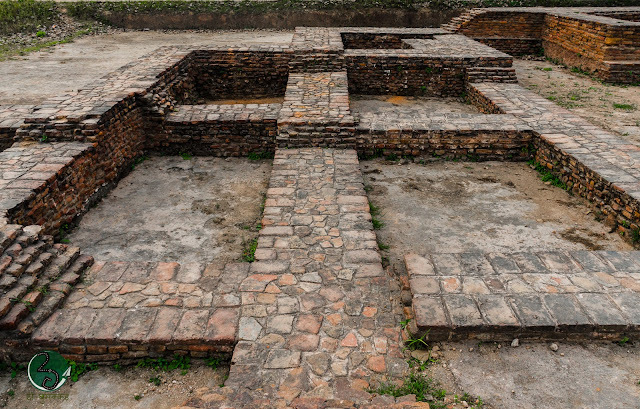 Jethian was the place where King Bimbisara welcomed Buddha and their 1000 fire worshippers turned bhikkus. 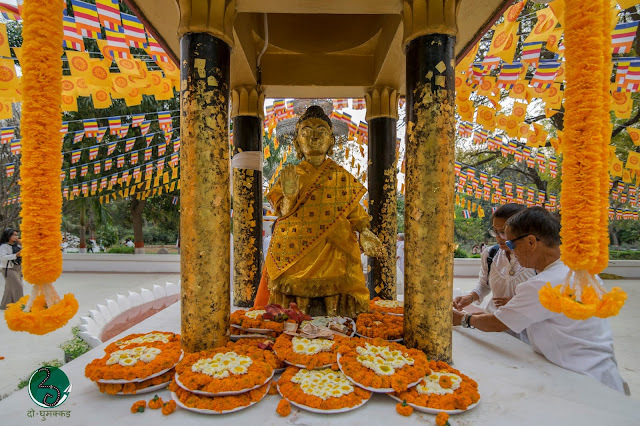 The Buddha was glad to see his old friends and he taught the king and his ministers the teachings on benefits of charity, ethics as a foundation for liberation, the harm of over indulgence in sensual pleasure and four noble truths. The Buddha mandala at Jethian village marks the spot where Buddha was received by King Bimbisara. 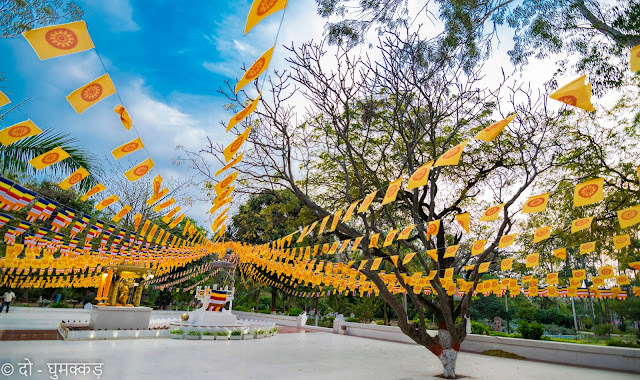 Highly pleased and elated by the talk of Buddha, King Bimbisara invited the entire bhikkus to the royal courtyard for the meal the next day and offered his pleasure park, the 100 acre Bamboo Grove to the Sangha. 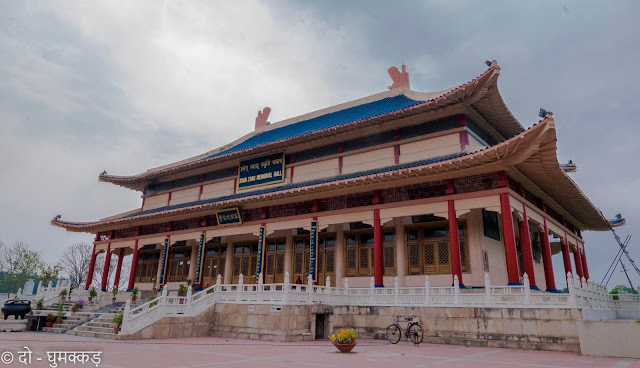 This pleasure park with its lotus pond, pavilions, flower gardens, walking paths, cluster of bamboo trees is the site of Sangha's first monastery. From here onwards only bhikkus were allowed to dwell in permanent monasteries. In front of the lotus pond, there is a shrine with Buddha statue, which marks the memories of Buddha's stays here in his second, third and fourth rainy seasons after enlightenment. The long winding stone-brick path leading up to the diversion was built by King Bimbisara. He used to visit here to listen Buddha's discourses. It is believed that the Buddha preached two most important texts of Buddhism - Saddharmapunarika Sutta (Lotus Sutra) and Mahaprjnaparamita Sutta from this point of Vulture's peak. Therefore this site is considered to be the most important one after Sarnath. 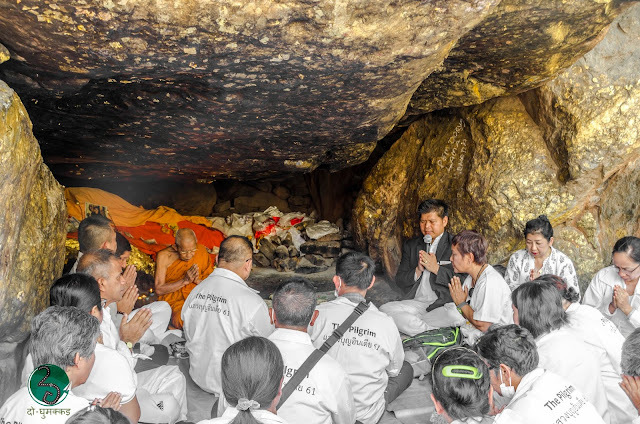 According to Xuan Zang, the first cave before the peak is one where Ananda attained enlightenment before the first council. The second cave is said Boar's Grotto, where Sarriputta became Arahant. At the end of the main path one comes across the stairways that leads to the top of the mountain containing ancient ruins and a contemporary shrine. The Shanti Stupa was built by the renowned late Japanese monk Nichidastu Fuji. The Shanti Stupa contains the relics of Buddha. Legend has it that one day a man woke up early morning, he noticed a poisonous snake slither over his wife's arm and curl out of the room. He woke up his wife and told her about what had happened. This incident had a deep impact on him and thus with his wife's approval he shaved his head, sewed a robe from discarded rags and set out as a homeless wanderer in search of meaning of life and teacher. 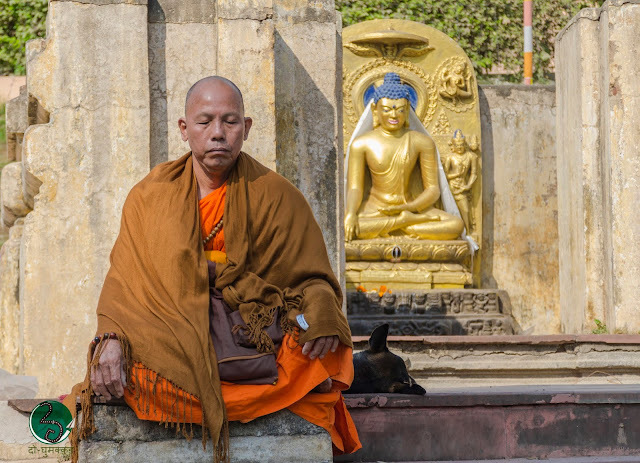 While resting at Nalanda, the man saw Buddha approaching and he offered him his robe to sit on. The Buddha accepted it with a smile and then offered his own robe in return. Receiving Dhamma instruction from Buddha, the traveller realized the experience of an arahant and thereafter known as legendary Mahakassapa. The Mahadevsthan Temple in Silao village is belied to be place where Buddha and Mhakassapa first met. Nalanda has a heritage of being known as international centre of education for more than 700 years. It was also a prosperous place of spiritual importance during the days of the Buddha. While staying in Nalanda's vicinity, Buddha usually resided in Amballathika or Pavarika's Mango Grove. Xuan Zang writes that King Shakraditya ( 5th Century CE) established the Nalanda Mahavihara at the site of Pvarika's Mango Grove. 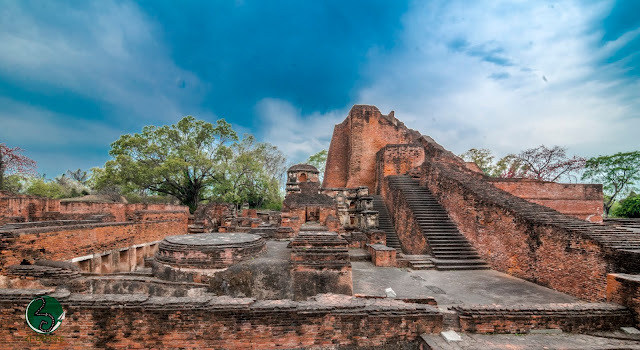 Nalanda was also the place of birth and nirvana of the famous disciple of Buddha, Sariputta. 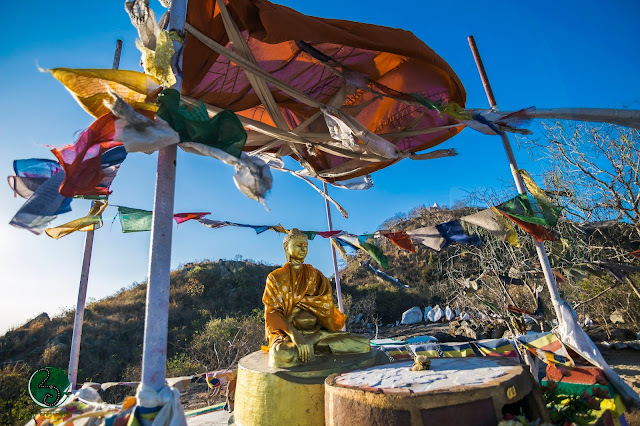 Xuan Zang memorial was set up as a tribute to one of the greatest Buddhist scholar and traveler of the time, Xuan Zang. In his epic travelogue he left behind a fascinating account of Indian culture, history, and information about the society that he had observed during his visits to the sacred sites and while teaching and learning at Nalanda. 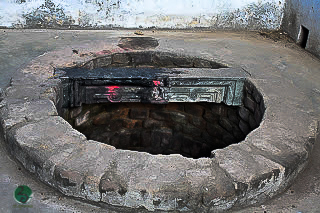 The stupa at Vaishali was built by Licchavis to enshrine the remains of the Buddha. After the Budha attained Mahaparinirvana in Kushinagar, his ashes were divided into eight portions and distributed among eight regional kingdoms (The Licchavis of Vaishali, Ajatshatru of Mgadh, Shakya of Kapilvastu, Koliyas of Ramagram, Bulis of Alakapa, a Brahmin of Vethdweep, Mallas of Pava and Kushinagar), where they were enshrined as eight MahaStupas. 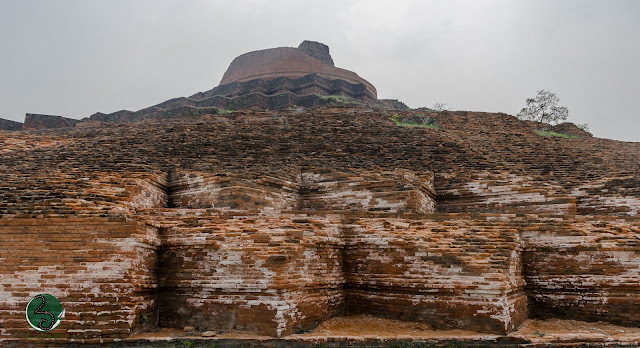 Some 300 years after Ashoka excavated the Licchavi Stupa and distributed the the remains to all the stupas he had built throughout his empire. Kolhua, marks the the spot where Buddha spent few rainy seasons and where a local mokey chief had offered honey to lord Buddha. This is also the same place, where women were allowed to join Sangha for the very first time. At Kolhua only the Nagarvadhu of Vaishali, Amrapali, converted into a nun. 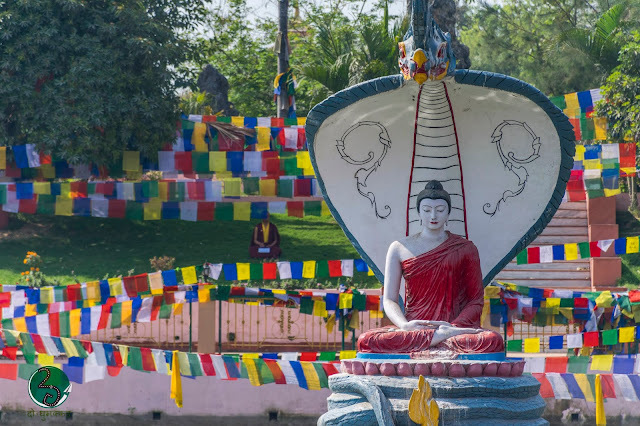 The Stupa at Kolhua commemorates the Buddha's cousin and a committed attendant of 25 years, Ananda. It is said here only Buddha announced his approaching Mahaparinirvana. 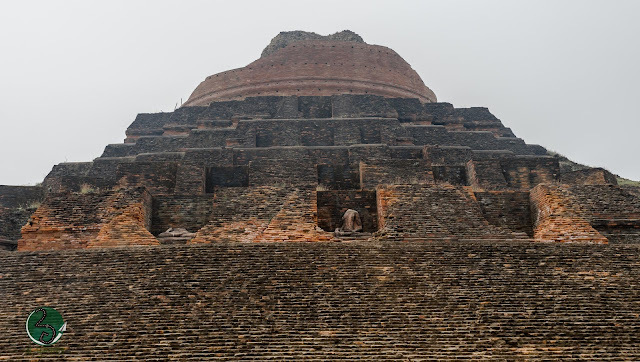 The magnificent stupa at Kesharia in East Champaran of Bihar dates back to 9th Century and is considered the largest and the highest in the world. Half excavated and half covered by the wild vegetation, it is stipulated to be the prototype of massive Borobudur Stupa of Indonesia. When Buddha decided to leave Vaishali, the devoted Licchavi prince followed Buddha as he wandered through the countryside. As a token of gratitude to them, he handed them his alms bowl and implored them to return to vaishali. From that point onwards, he wanted to walk to Kushinagar only with a retinue of selected bhikkus. The prince stubbornly refused to leave the side of their master. Left without a choice, Buddha used his physic powers to create an illusory flood that separated them from him. Before leaving Keshariya, the Lichhavis built a stupa commemorating the event and expressing their sorrow. The stupa was later enlarged by King Ashoka and subsequent rulers, especially during the Gupta period who added layers and embellished it with hundred of sculptures. The river point of Gandak, called Amona in Buddhist tradition, was the river crossing point for Buddha, both when he entered Bihar after Great Renunciation and when he left Vaishali to go to Kushinagar for "Mahaparinirvana". P.S: दो - घुमक्कड़ is extremely thankful to Uday Sahay, whose intensive reasearch on Buddha & Buddhism helped us a lot in finding the footsteps of Buddha in different corners of Bihar as well as understanding and relating the different legends moving around Buddha's life during our expedition.